Welcome to my world. I started writing poetry in the early 1980s as I discovered that I did not have the patience to write a novel or short story, nor did I have the creativity or polished skill to draw or paint. 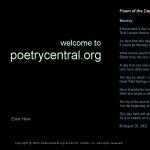 In 2000, I operated a website called poetrycentral.org and over time the site became dated and difficult to update. The images below are different builds of the site. Over the years, the site went from two pages, to 50 or so static html pages, filled with tables and nested inline frames, which added to the headache of managing the site. Later, I added my poetry to megocollector.com, but this was not appropriate to the site. Now, after all these years, I have found the proper medium to display my work. This site represents a culmination of my work. The poetry is divided into books (categories). This is a partial virtual library of my work. As time permits and interest grows, I will continue to upload the remaining poetry for each of the books. I hope you enjoy reading these poems as I did in writing them. 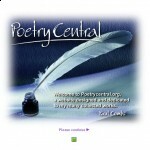 Each poem is individually copy written and each book as a whole are copy written. Chronological Disorder is a compilation of my work from 1984-2000 and may be organized using an unorthodox schema. Much of the poetry in the late 1980s was inspired by my interest in the Punk music scene, hence the tone. July is titled such as the bulk of my work was written in the month of July 2002. That month, I wrote over 50 pieces, entered into a couple of contests, and performed at the Bohemian Caverns in Washington DC. Nineteen – Nineteen was to be a follow-up to the title July, as I began writing in late 2002 and 2003. 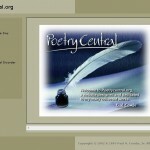 The title represented 19 years of writing poetry.